Elisa on the Angel tribe and Angel Muse. The latest version of Angel, Angel Muse, was billed in the ad campaign as “the new fragrance you will hate to love.” I’m pleased that the folks at Mugler have embraced Angel’s inherent divisiveness and want to nurture, rather than overwrite, that reputation. 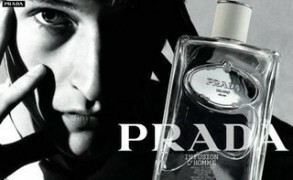 After all, is there any perfume from the past 30 years that inspires such strong love-it-or-hate-it reactions? I do, in a sense, hate to love it, since it’s so unpopular and so recognizable I wouldn’t really feel comfortable wearing it, say, to work or on an airplane, and I wear it most often at home. It should come as no surprise that Nicole, the debut fragrance from reality-star fashion icon Nicole Richie is—gasp!—a “fruitchouli.” The Nicole perfume, which debuted in September in 2000 doors nationwide, features notes “ juicy blackberries and oranges from Seville, which are followed by golden amber, Moroccan rose, lily of the valley and papyrus, layered over the base of cashmere, sandalwood, sugared patchouli and vanilla absolute.” The nose behind the fragrance is Steve DeMercado, who also authored Paris Hilton’s eponymous scent as well as mall blockbusters like Marc Jacobs for Women. According to Ms. Richie, the scent is meant to evoke her mother, who layered oil and perfume over lotion and created more than just a “one-dimensional smell.” The smell that one gets, however, leads one to contemplate how involved any particular celebrity is with the creation of their namesake fragrances. While Sarah Jessica Parker was intimately involved with the creation of Lovely, or at least tried to steer it into darker territories, one wonders about Nicole or whether Nicole was herself steered by market trends.